Loosen/remove screws securing the bottom cover. Under the cover you can access both memory modules, hard drive assembly and CMOS battery. 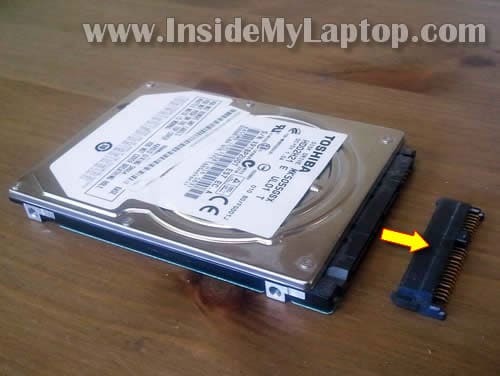 Remove screws securing hard drive to the mounting bracket on both sides. Separate mounting bracket from the hard drive. Now you can replace or upgrade the hard drive. 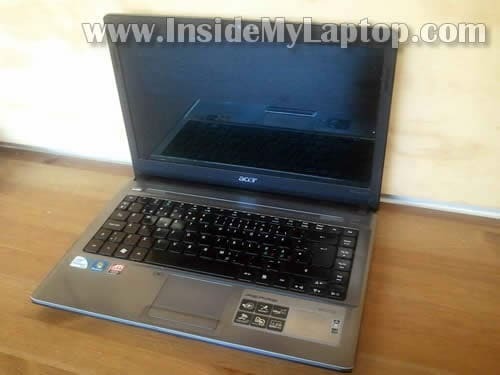 Acer Aspire 4810T 4810TZ 4410 models use a regular 2.5″ SATA hard drive. You can upgrade it with any other large capacity 2.5″ SATA hard drive or SSD (solid state drive) which is faster and absolutely quiet. Both memory modules also accessible though the bottom door. 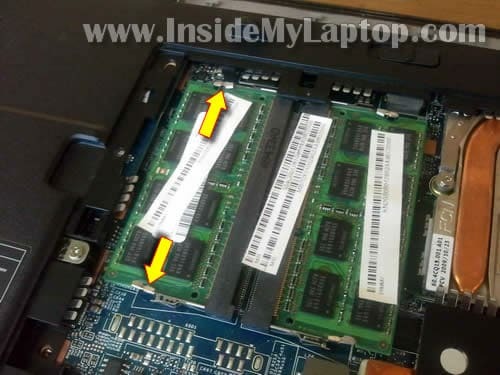 In order to remove the memory module you’ll have to spread latches on both sides of the memory slot. Carefully pull the memory module from the slot. These laptops use DDR3 memory modules. I believe Acer Aspire 4810T 4810TZ 4810TZG will take up to 8GB RAM total (4GB in each RAM slot) and Aspire 4410 will take up to 4GB RAM total (2GB in each RAM slot). Pull optical drive to the left and remove it. 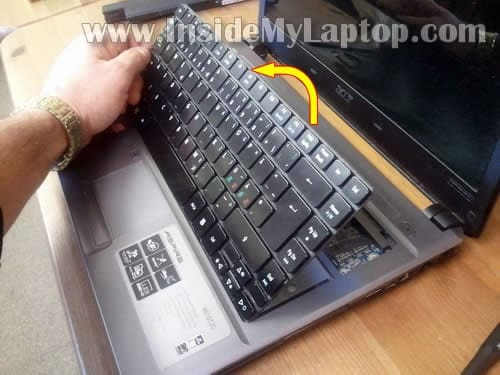 In order to remove the keyboard it’s not necessary to go though steps 2-11. The keyboard is secured by five spring loaded latches on the top. Push the latch into the case with a small screwdriver. At the same time lift up the keyboard a little bit. The latch will stay inside the case and will not lock the keyboard. Now you should be able to lift up the keyboard. The cable connector located under the keyboard. Remove yellow sticky tape securing the connection. 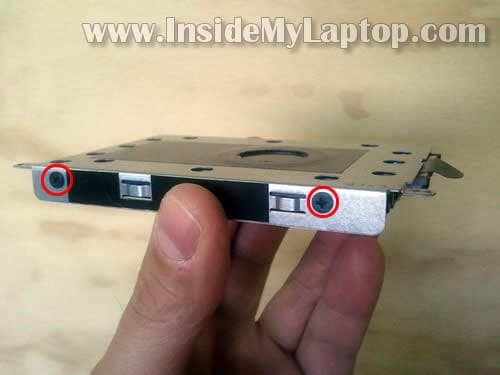 In order to unlock the connector, move the brown locking tab about 2 millimeters towards the laptop display. Use your finger nails to slide the locking tab. Do not apply to much force. The locking tab must stay connected to the connector base. You see, the tab still connected to the base. Now you can remove and replace the keyboard. Under the keyboard you can access the wireless card. Also, you’ll get some limited access to the cooling fan. 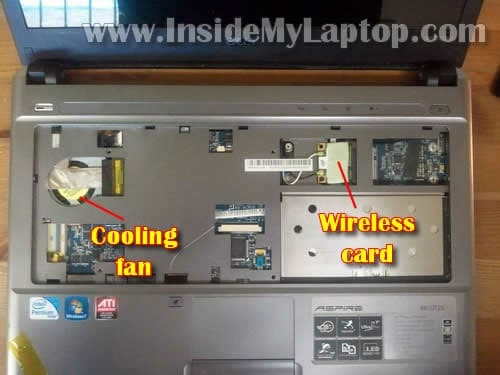 If your laptop overheats and shuts down because of that, you can clean the cooling fan with compressed air. Just blow air into the fan until all dust is gone, it should be enough to clean it. 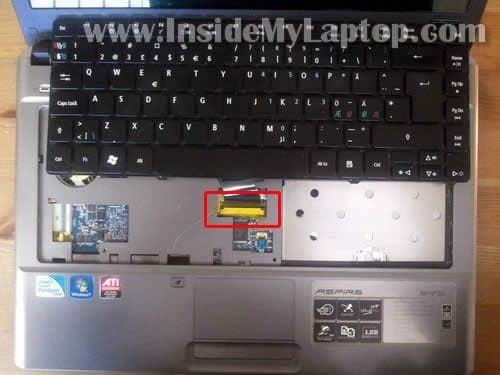 If you would like to disassemble the laptop completely, you can use this disassembly guide for Acer Aspire 4810 series laptops (in PDF format). – take apart the display assembly and remove the LCD screen. 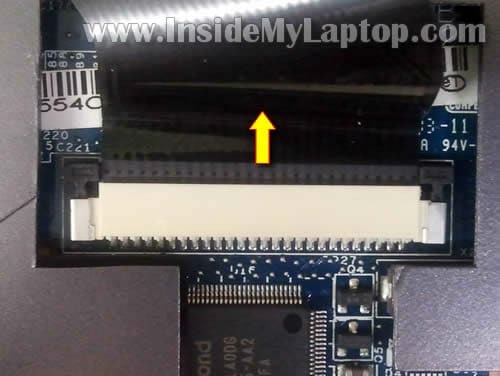 – remove the top cover asssembly and motherboard. – remove the cooling fan assembly. Thank you for the guide. I used it for my Aspire 4810TZ. Two weeks ago I spilled some wine on the keyboard and it stopped working. Our local repair shop quoted me over $120 to replace the keyboard. After a quick google search I found your site and decided to try it myself. I bough a new keyboad for $20 on eBay and replaced it in 5 minutes. I was afraid to break the connector but everything went fine. 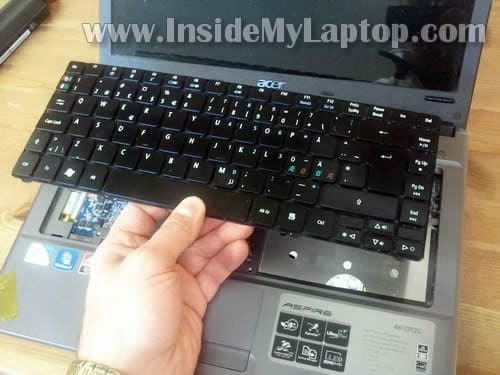 Typing on my Acer laptop now. Thanks again! Saved me a bunch of money. Very helful. Changed wireless card. Did not know it was under keyboard. I’m need to replace the power stem on my Acer of this series. I was quoted $130 and thought I might be able to do it myself. What do you think? I didn’t see anything pertaining to the power stem in your pictures. Perfect guide!! Keep it up. Do you think you could help me with the replacement of the CRT Board of the 4810? The audio out jack on my Acer is broken and now I need to replace the board. I know it’s somewhere under the hard disk but I am not sure if I could expect any surprises. Solved the CRT replacement, found the link to the Disassembly Instruction in the above article, Thanks!!! i have problem one speaker don`t remove it`s impossible to open laptops :/ help me why remove speaker to open mainboard ? In order to access speakers you’ll have to go though all steps shown in the guide. 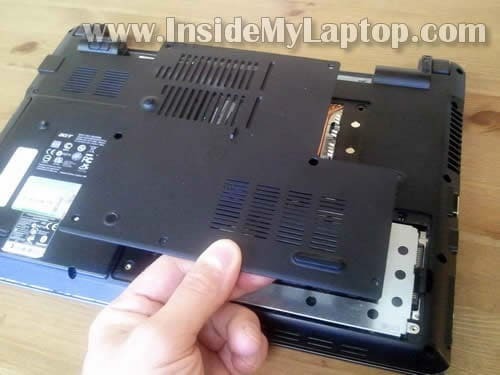 After that your remove all screws on the bottom of the laptop, remove all screws securing the top cover. Disconnect all cables found under the keyboard. After that you should be able to remove the top cover assembly and access speakers. Thanks so much on explaining how to remove an internal hard drive and recovering data,But I also have a question.I have a acer 5515 and it just went blank on me.It has power but the little yellow processing light doesn’t come on,so I think it might be a bad mother board.Is there any way of testing it at home?I don’t wnant to keep replacing good parts trying to find the answer. Hi, I tried to replace the keyboard by pushing 5 latches on top of F1- F12 keys. 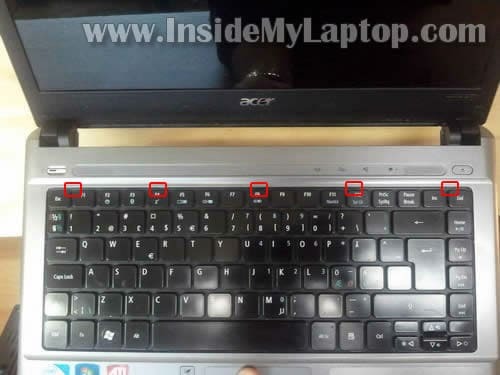 But there are some permanent latches on the left side and right side of keyboard. What should I do? Will it break the keyboard? Thank you very much. I tried to replace the keyboard by pushing 5 latches on top of F1- F12 keys. But there are some permanent latches on the left side and right side of keyboard. What should I do? Will it break the keyboard? You are correct. There are small permanent latches on both sides of the keyboard. 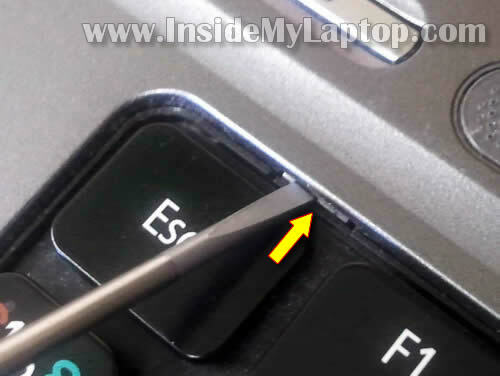 Unlock latches on the top and after that carefully lift up the keyboard. Apply some force to push it though the latches on the sides. It shouldn’t damage the keyboard. I want to clean my 4810T fan. Thank for sharing. have you ever noticed that below the WLAN board there is a tiny switch labeled SW2? I wonder what it does…..
Firstly thanks for the guide. 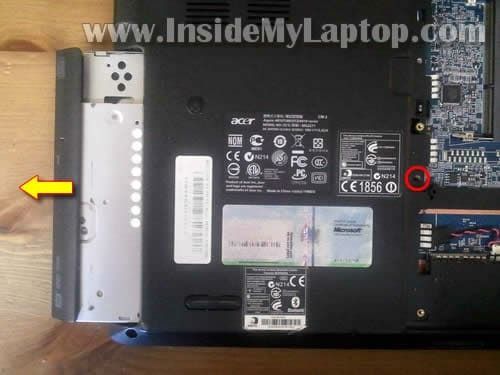 I have Acer 4810t with the Plugged in Not Charging problem. I am on Windows 7 with all updates installed and a fresh install. Tried all the suggestions on the Internet like holding the on/off switch and removing ACPI from device manager. Purchased genuine new battery and charger. So, I have Plugged in not charging but it is charging very very slowly. What is happening is its pulsing on and off every couple of seconds putting a tiny bit of charge in. The screen flickers when it does this. Laptop works fine without the battery attached. 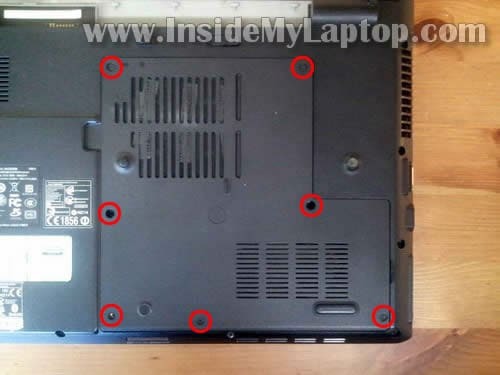 Which makes me think it cant be the power socket on the laptop? If you can fix this I will be happy to donate 🙂 driving me mad. I don’t want to start dismantling the laptop if I don’t need to but if you think it could be the power inlet socket I will have a go. I think this could be a problem with the DC jack. Probably the connection between the jack and the board. 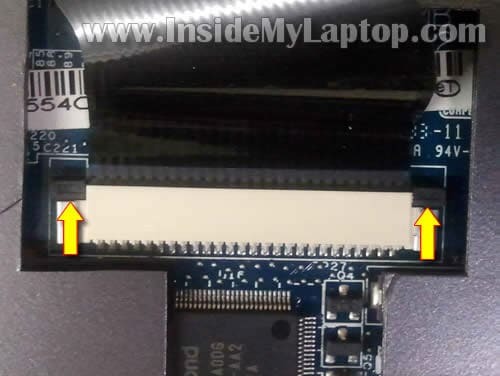 In Acer Aspire 4810t the DC jack is soldered to the daughter board (DC jack board). If you know how to solder you can try replacing just the jack. I would probably replace the whole DC jack board. It’s not very expensive. 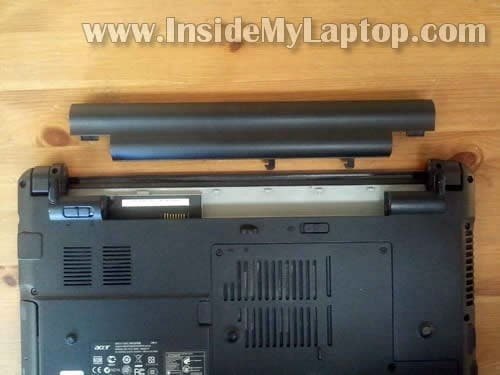 You’ll find a link to the complete laptop disassembly instructions at the end of my post. The DC jack board removal shown on the page 26. 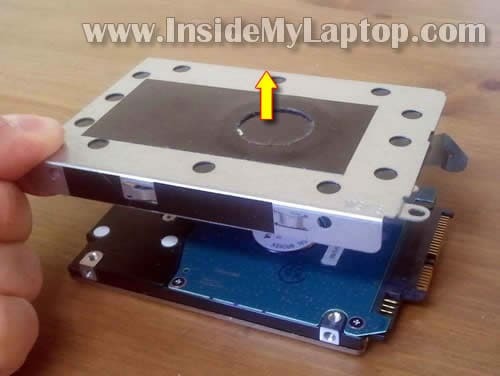 It’s necessary to remove the motherboard from the laptop base for that. Again, instead of replacing just the jack I would replace the whole board. It’s possible the board itself is defective. Do you know how to reset the BIOS? Hi, I have had my Acer 4810TZG repaired, a new motherbaord was fitted and now the wireless is not working at all. Previous to the fix I could see my whole streets wireless networks, now I can’t see any. I don’t buy their excuse as it was preinstalled with a 64bit version and worked for over 2yrs with no wireless issues. So what I would like to know is do they have to discinnect the wireless card in order to get the motherbaord out? If you cold respond ASAP I would really appreciate it. I have had my Acer 4810TZG repaired, a new motherbaord was fitted and now the wireless is not working at all. Previous to the fix I could see my whole streets wireless networks, now I can’t see any. Take a look at the device manager. Can you see the wireless card in there. Does it show any errors. If the wireless card appears in the device manager but you don’t see any wireless network there is change they forgot to connect antenna cables shown in the step 18 on the last picture. Yes. You cannot remove the top cover assembly without removing the wireless card first. You cannot remove the motherboard without removing the top cover assembly. Guys do you know if i can change the graphics card on the timeline 4810T? Is there an extra MXM slot? My card died yesterday and the laptop works but i cant see anything.. black screen. please if anyone knows tell me… cheers! Hi! So somehow a wire, on the right side by the hinge, which looks like it connects the base/keyboard to the screen is cut. I can see both halves and I’m trying to reconnect them any tips? The reason I’m asking is because I hope that this is the reason I can’t see my screen. Hi, Thank you for your sharing nice work. My Acer Aspire 4810TG all sudden hang! when i start it power and wifi light is on and fan also functioning and same time when i plug the charger also indicate its charging battery light and its on, it sound like Motherboard failure any opinion!? Possible memory failure. 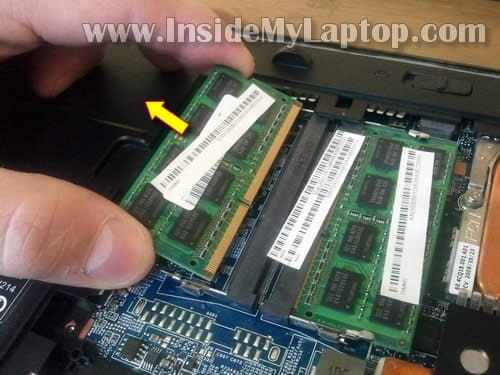 Try removing memory modules one by one and test the laptop with each module separately. If one of the failed, the laptop will start with another module. Was about to give up, thanks for good info and pictures. first many thanks for the great work with that guide. Totally dismantled the unit to fix a power button problem. Finally found the loose connecter behind the keyboard upper right of fan. That works fine now. But since reassambling, unit looses time and date after power down. As cmos battery still fine and polarisation correct, 3.2 Volt measured directly at the mainboard solderpoints, I assume I did something wrong. Maybe by accident disconnected something or permanently pressing any reset switch. Would appreciate to get an idea from your side. However, thanks again for the guide. just found, that it only loose date and time if working with battery power, it is fine with external powersupply. Dis- and reassembled again and took special attention for the connections between the single boards. Thanks again, will make a donation for the manual. I’m lucky who found this site! Can anyone help me to solve my problem! The fan does’nt work! By some extern cooler or what? Will it be enough?